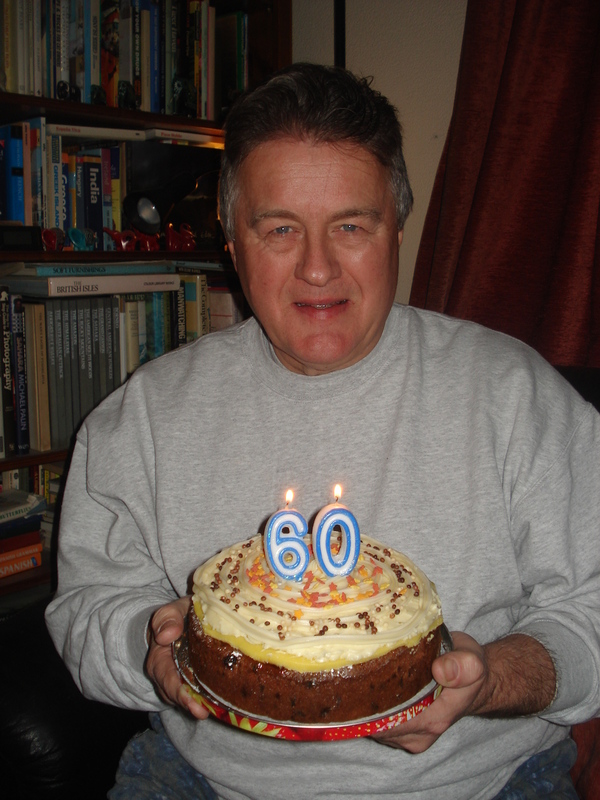 Yesterday was Neil’s big 60 birthday. We had a lovely day, visiting a Matisse exhibition in Honiton in the morning and stopping for coffee and cake. Then in the afternoon we saw a film “The hundred step journey” with Helen Mirren which was a feel good movie and good fun. In the evening we went to the Candlelight Inn for a meal which was delicious, but also I made Neil a lovely fruit cake for his birthday. We lit the candles and Neil blew them out. I thought numbers would be less of a fire hazard than 60 individual candles. 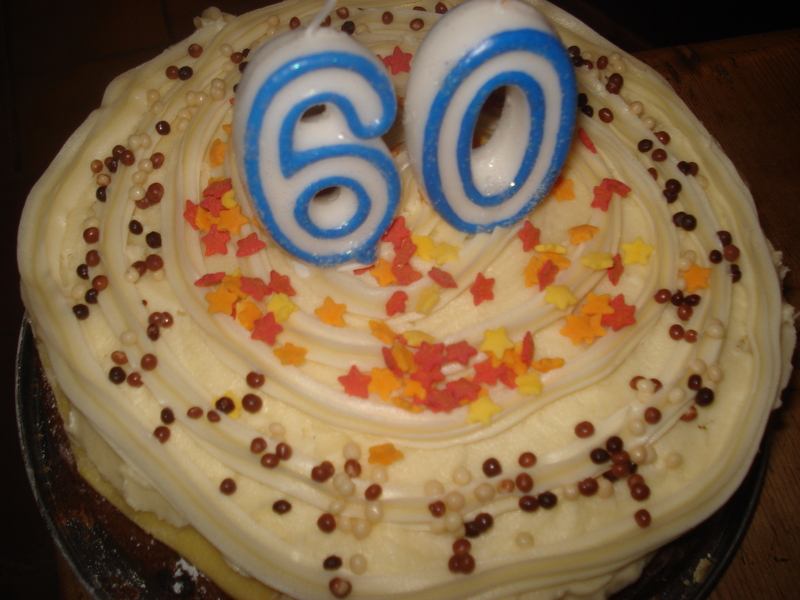 The recipe was the same as I used last year see https://lodgehousebandbsomerset.wordpress.com/2014/02/06/my-hubbys-59th-birthday-cake/ except I didn’t have any cherries so used chopped dates and apricots, sultanas and raisins for the fruit. And I topped it with vanilla buttercream icing this time. Anyway we had eaten too much to cut into it yesterday so we are having some today instead. Chaos still abounds at Lodge House and the B&B is closed at the moment whilst the builders are in.